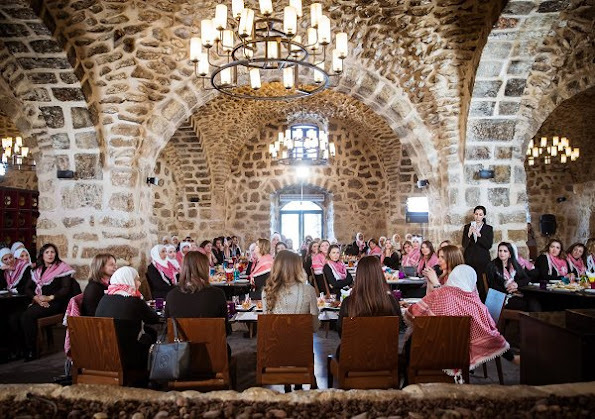 Queen Rania of Jordan met with women from the ‘Sayyidat Nashmiyyat’ group on January 11, 2017 in Amman, to highlight the active role of online platforms in pushing communities towards positive change and socially engaged societies. Wow, this looks like a wonderfully positive group of women eager to do big things! Queen Rania is an inspirational leader trying hard to better circumstances for the Jordanian people and the millions of refugees sheltering there. She is impressive. Yes. Rania is a rolemodel! I admire her!